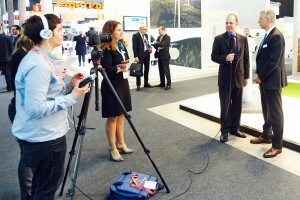 Windpower Monthly TV will be back at EWEA OFFSHORE 2015 to bring you in-depth interviews and daily event coverage. You can bring your own video to air or work with the WPM TV production team to film anything from a product demonstration to an interview at the event. Custom marketing packages are also available so you can maximise your message reach at EWEA OFFSHORE 2015. EWEA members get 15% off advertising rates.